It was our first real date. 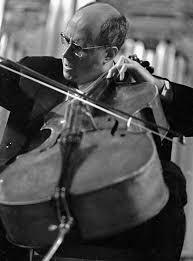 His blind date had backed out and I volunteered to hear Rostropovich’s debut in Washington to play the Dvořák. It was not only a memorable concert but a few years later I married my date. We had a wonderful marriage lasting almost 40 years until he passed away. This experience listening to the concerto was the real start of my love for classical music.